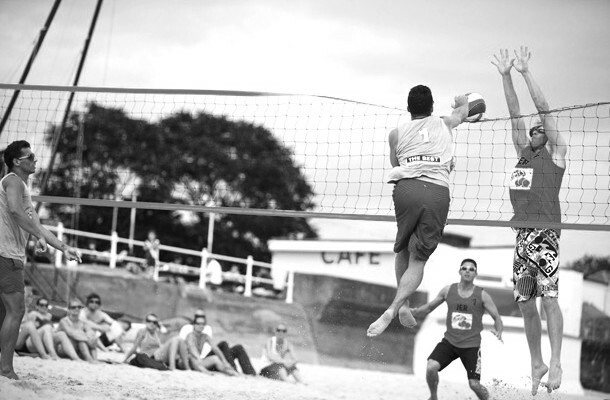 With 15 months to go and the summer looming it is time for you all to put your names forward to compete in the 2015 NatWest Island Games Beach Volleyball Event. We are holding 5 days of trials all on Sundays after Easter Sunday so that everyone who wants to can book in and plan to keep these days free. Games will be played on a ‘king of the court’ basis in order to find the best players to represent Jersey in 2015. In order to register your interest please reply to me Paul, on tatpaul@hotmail.com as soon as possible preferably before April 18th. The Sundays will be April 27th, then May 4th through to May 25th. Hopefully the temperatures will have risen a little by then! But also that the pairs chosen will have the chance to then compete in some of the VolleyballEngland Beach tour events so that the partnerships can develop and strengthen. Looking forward to hearing from you all. Please pass this onto as many people as possible.